*As always, this post is about my own experience – things which worked for me are not 100% key to anything, but it might be helpful – give those a try if you haven’t already and have fun!. I’m also planning follow up post in few months to show new results as I’m trying new things. I know! It’s been a while, but what can I say? Those last weeks were just crazy! Work, work ,work, giving myself a chance to be shown on Surtex, short trip to Belize (not a great moment, but it was planed way ahead and soooo worth it!) and lastly, flight from Mexico do Madrid which left me crazy jet lagged and all around disoriented. While being in a “go! go! go!” zone, with so many things and deadlines happening same time, I’ve been thinking about those times when there was zero work for me. Well, it’s not an ancient history – I had my longest break from getting decent assignment in 2013. 6 months – that was about that long. SIX MONTHS! First few weeks I was kind of glad, as I’ve just finished really big project and few other things, so after few months of non stop work from dawn to dust (hahaha, ok, this sounds poetic, but actually it was more like until few hours before dawn till few hours after dusk but that’s not the point) I welcomed this change with huge enthusiasm and relief. We packed our backpacks and went to SE Asia to travel as long as we would want to (it turned to be about 5 month which kind of change our idea for lifestyle, but this is another story). My plan was to make some new promo pieces, brush up my portfolio page and get new cool jobs – I know now how silly this sounds. Sure, that’s a goal – get some assignment, but expecting or even worse “planning” that it will happen in some specific time frame (even if you set something which might seem realistic like 3 months after send out mailing to potential clients) is insane. Ok, it might, but it also might not and it’s not necessarily all about you and your work, but for example timing. How many scenarios you can think why some art director didn’t hire you? 10? 20? Maybe this guy/gal has arachnophobia and tiny and super friendly spider from the corner of one of your pieces just forced him/her to shut down your portfolio immediately without giving proper look? Maybe he/she was in pain this particular day and your page was not loading fast enough, so he/she give up on this without giving you a chance – why should he/she? 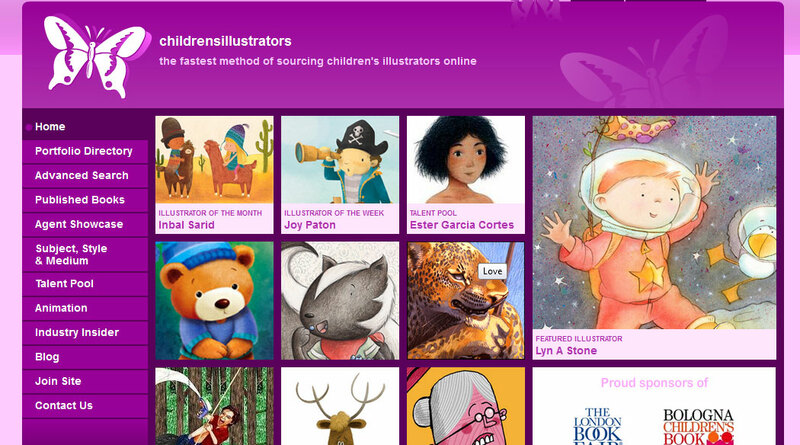 There are hundreds of other amazing illustrators wanted to work with them. Or maybe there there was a project perfect for you, but other illustrator just sent his/her samples few days/hours earlier and got this gig. You know – timing. This is why so many illustrators, specially those of us who are not stars yet (yet!!!) are having this awful habit of accepting way to much work at same time. Because who knows when will be the next opportunity and if I say “no” to this client today, I will never hear from them again, right? Oh for *&#^ sake! NO! this should not be right – being overworked is terrible in every way and harmful to creativity. That should be one of main objectives – give yourself a chance to balance work load and avoid situation when is either nothing or way to much in a repeating circle. Ok! cool! Sounds great, but how? Become a amazing illustrator whom everyone would love to hire for gazyllion $$$ – good plan in general, but it might take a while. Sell illustrations directly to customers = yes, but a) is not that easy either b) still selling on Etsy is not the same as being published by Penguin, it’s not only about money. Here I describe all kind of marketing-y stuff which worked for me so far + things I do but don’t see any(or very little) effect yet. List is organized from best client magnet to least effective/waste of time. Hire and illustrator (HAI) is my fav way to answer some random people’s questions about “how your clients find you?” I lightly rolled my eyes and say “on hireanillustrator.com duh!”. As much as most people think I make fun of them this is a quite big platform with portfolios. There are, I guess all types of illustrations shown from my children’s niche to fashion, advertising – you name it! As you can see at main page there are regular spot lights, highlights etc. Every illustrator can submit some news connected with their work, like book publication, exhibition or even just a new personal work, and some of those news are being featured on main page and in newsletter. Pretty cool thing about HAI is while they ARE NOT agency, they are putting together physical packages with postcards and other printed promo materials and sending to art directors around the world. Amount of work I get from HAI is just incomparable to anything else. I got clients from Korea, US and UK from there, win some really fun projects and what’s most amazing, some long term work relationships. 320 USD/year + you can let them print your promo postcards (reasonable price). I got my money back quickly. Joining this site was one of the the best decision in my career. I have to admit that I don’t use HAI as well as I could. My last promo postcard was produced summer 2013 (it last for about 3 months), I have tendency to not refresh my portfolio with new illustrations and during 5 years I post 2 or 3 news…Why? because I’m queen of this vicious circle I mention before and just stop worried about my marketing when I’m overworked. Which is so bad! Soooooo bad – I (and everyone) should care about it all the time. Anyway! Here you can spend from very little (just add illustration some short captions, bio, social media links, etc. and you’re done) to quite a lion share of time to promote yourself, but also having fun as there’s community and seriously tons of amazing things going on all the time. Despite of my lack of involvement, it works for me so much! I definitely recommend joining, but NOT following my steps and actually taking advantage of all fabulous features and bonuses this site has to offer. I delegate this task to Tytus, but obviously it’s me who have to make new shine illustrations. What’s (who – to be more correct) that? Awesome person, who’s job is to represent you and your art so you can worry only about doing said art. In a theory at least. Reality can be not as fairytale-y as one could think. That is good to realize, that having an agent will not miraculously change your whole life or at least your career. Granted! Good agent can take your work where you never (or not this year) could – like to the Random House Kids headquarters or to Surtex. *I started describing my experiences with all 3 agents I had so far (including my still quite a new one), but this started to be epic post itself so it will be separated story. Here’s just a facts and numbers. Thanks to my previous one I landed with series of picture books (+ an app) published in UK and one series of board books published in US. Both paid very little (yup, this is complicated topic and it need some own space) but it open my eyes that hey! I can work for people from another countries! That was really big deal for me, change my career when I was really close to give up and look for a job in a museum or so (I’m a art historian, at least on paper). I’m eternally grateful that this and while I had to let this agent go, I think about this guy as one who had great impact on my life. 3) Direct mailing to potential clients. I haven’t done this for about 2 years now. Emails cost zero $$$, as for snail mail – this of course depend on scale, how your promo materials look like and how many of them you send and to what country. I will not elaborate nor recommend traditional post as I’m trying to be more eco friendly every year. I know that some of publishing houses accept printed samples ONLY – well…I do not like it and I’d not support this idea any more, sorry. Oh my! A LOT! First, you need to figure out your list of clients and this may take a while. Here’s my list of (more than) 125 children’s publishing houses. You can also buy some list like this, but for other industries – I just heard about it, never tried. All industries gurus say that you should reach those companies about 3 times a year. Maybe it is a lot of work, but you can organize it and better yet delegate 😀 What you need first though is good portfolio page because other way of presenting your work seems unprofessional. This how my main page looks like now. Hosting on Squarespace – about 100$, domain is included. Trap and huge waste of time for 80% and necessary tool same time. I bet I’m not only one who has love/hate relationship with social media and most of you know what I mean, right? To not rumble to much: I mainly use Facebook and here I have biggest and most active fallowing (monikasuskaillustration), recently I set up new Twitter account – previous one was hacked which put me off for quite a while (monika_suska), I sometimes use Pintrest but more for fun/reference photos gathering and about 8 months ago I joined Instagram (bigger_boss_sound), but after maybe 2 months my smartphone broke down and I didn’t feel like buying new one specially I was in travel mode, so there’s nothing happening there, but it will start over soon! Small assignments, but in quite a big number form private people – mostly portraits of/with loved ones. + it helps us with our Print on Demand business. Too much if you look at this only as a way to get a job. Things that didn’t bring me any(or very little) results yet. In this group I put pages etc which a) I joined recently b) I joined while ago but I didn’t really take proper care of it, which I’m about to change mostly by outsourcing (buahahaha – evil laugh). 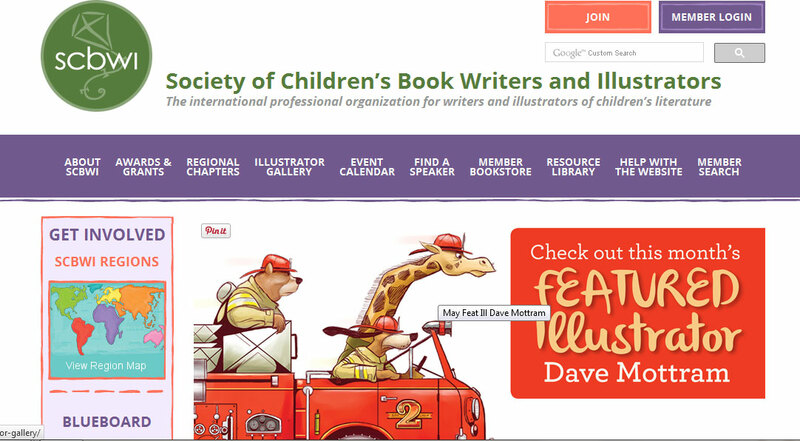 The Society of Children’s Book Writers and Illustrators is a non-profit organization which work mainly as a network for people involved in children’s and teens literature like illustrators, writers, publishers, agents, educators and librarians. It gives plenty of opportunity to promote yourself and get some help, seriously plenty which from I used none. Recently I renew my membership after long break (I forgot about it ups), but this time I really want to take a part of this. 80 USD a year (first year 95). Hard to tell yet – see above. 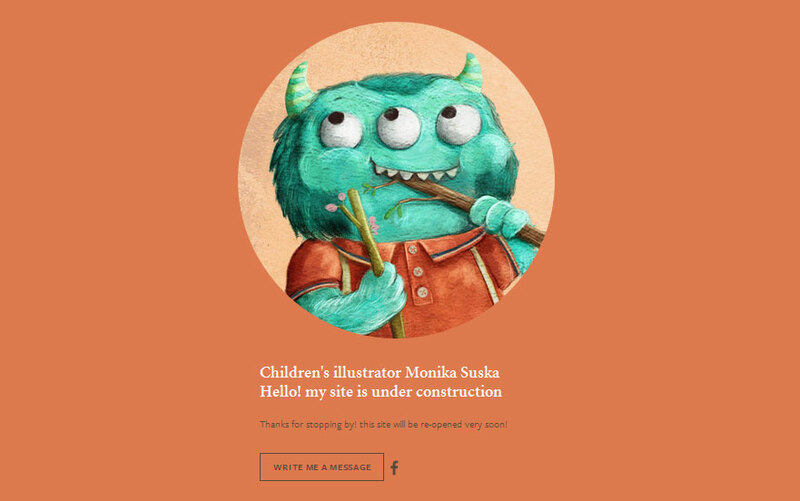 Paid portfolios type page concentrated on children’s illustrations – first in google for this phrase + many amazing and successful artists have accounts there, so maybe worth a try. Zero so far – I joined in March 2015. Hi Monica Thanks for all of your great info. You are a fountain of good info and so generous of you to share it with others. definitely read this post again sometimes soon as for sure many typos and other mistakes will be corrected by then 😉 but also I have few other things I consider to try so I’ll put them here too. Previous PostTime management tips for crazy artists. Part 1: How to deal with surprises and Internet’s traps.